Maccabi Electra scored an important 76-84 road win over Zalgiris Kaunas on Thursday at Zalgirio Arena on Thursday to open Group H. The visitors got a pair of triples from new signing Demond Mallet to take the lead in the first quarter and never trailed. The Israeli champs led by as many as 15 in the second quarter and seemed poised to run away with the game. 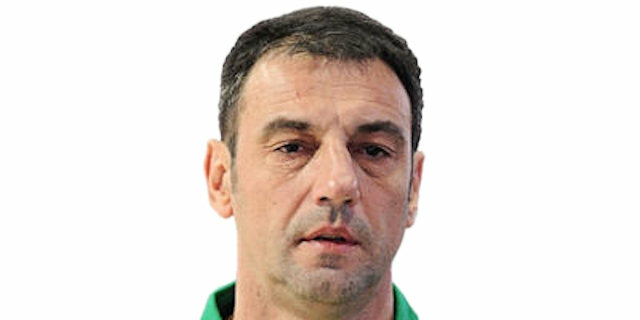 But a strong Milovan Rakovic helped the hosts creep back and in the fourth quarter the deficit got down to 2 points. However whenever Zalgiris had the chance to tie the game or even take the lead, Maccabi stood tall – particularly Richard Hendrix who had 2 of his 3 blocks in the closing minutes to help seal the victory. Mallet finished with 15 in his first Macccabi Euroleague game. Lior Eliyahu added 14 points, Keith Langford tallied 12 points and 7 assists and Hendrix finished with 11 points and 6 rebounds. Rakovic paced the hosts with 15 points, Marko Popovic added 14 and 5 assists and Mantas Kalnietis and DeJuan Collins scored 10 each. Zalgiris’s leading scorer, Sonny Weems, was held to a season-low 2 points. Zalgiris got going early through its perimeter game as Paulius Jankunas scored from downtown and Dainius Salenga from the baseline. 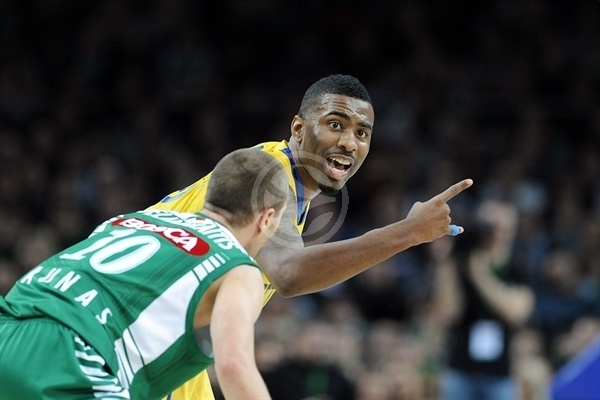 Maccabi forced the ball inside to Sofoklis Schortsanitis, who twice fed Eliyahu for close-range baskets. Mallet’s first points in a Maccabi uniform came in the form of back-to-back three-pointer that gave the visitors a 7-12 lead. 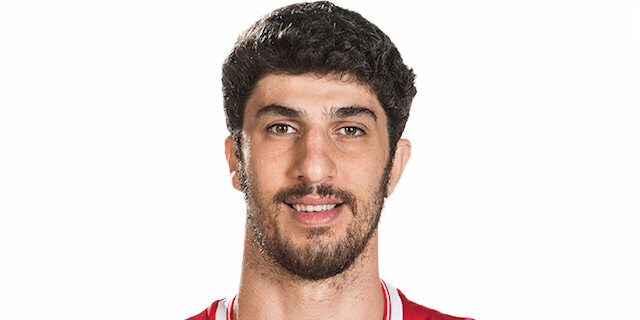 Eliyahu turned provider with a dish to Hendrix for a slam, but Marko Popovic came fresh off the bench for a triple and then Kalnietis closed the gap to 14-16. 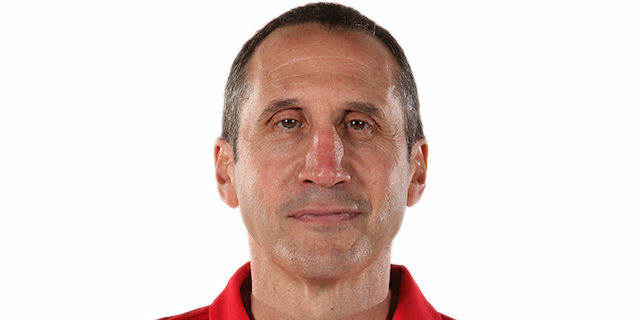 Both teams were heavily into their bench near the end of the opening quarter, which ended after Devin Smith drilled a three from the corner to make it 16-23. A David Blu jumper a minute into the second quarter put the visitors ahead by 10. Zalgiris head coach Aleksandar Trifunovic used a timeout to talk to his charges after which Weems sank a mid-range jumper for his first points. However a Langford slash to the basket and a Schortsanitis hook put the Israeli champs up 18-30. Tomas Delininkaitis scored on consecutive possessions as Zalgiris kept pace, but the visitors continued to generate points. Mallet dropped in his third triple of the night to stretch the Maccabi lead to 24-39. Kalnietis helped fuel a comeback, though Maccabi kept firing with Jon Scheyer hitting a three from the corner and Smith feeding Hendrix for a slam. But Zalgiris managed to get its fans excited heading into the break as Popovic sank free throws and Collins hit a big three, even though former MVP Theo Papaloukas drove into the paint and flipped in a layup to make it 37-48 at halftime. Both teams went to their frontlines to start the second half. Power forwards Jankunas and Eliyahu each scored twice, but the double-digit Maccabi margin remained. Salenga connected from behind the arc to bring his team within 46-54. 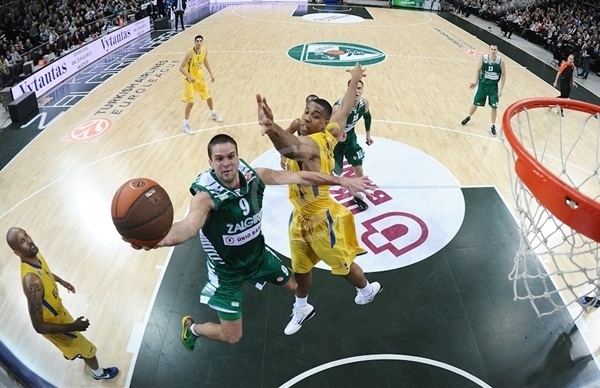 Rakovic and Popovic continued the Zalgiris momentum as the crowd got involved. 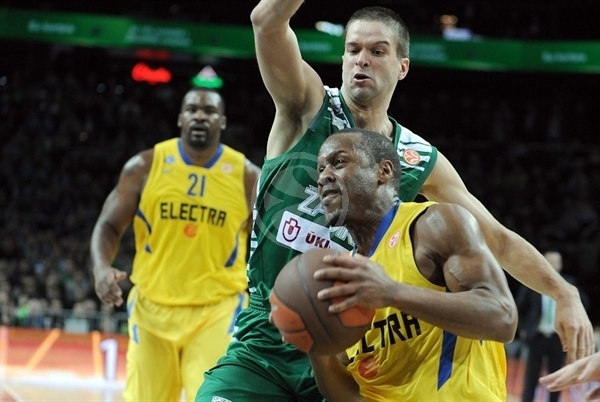 After the gap closed to 4, Schortsanitis went inside for a basket-plus-foul to stop the Zalgiris run. Despite another Rakovic score, Big Sofo and Eliyahu helped Maccabi regain control. And a Schortsanitis follow basket put the visitors up by 10 once again. After a timeout, the Zalgiris crowd roared again after a Rakovic three-point play. The big man followed that up with 2 free throws and then Popovic did the same to make it a 3-point game. Ohayon free throws and a Rakovic jumper left it 61-64 heading into the fourth quarter. Collins kept the pressure on with a triple to make it a 2-point game early in the fourth quarter. Blu responded with a clutch jumper, only to see Collins bury a wide-open jumper to set the score at 66-68. 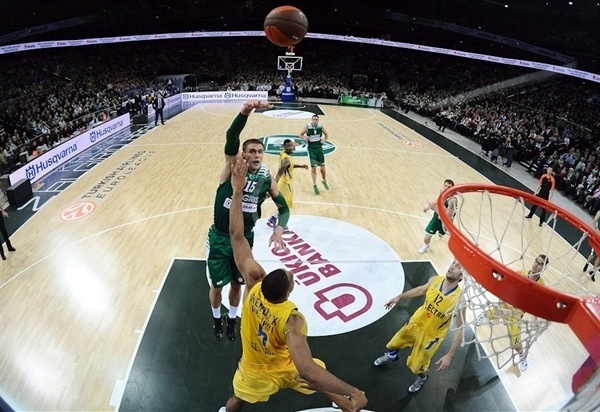 Zalgiris had chances to tie – or even take the lead with a three – but the visitors denied on defense before Mallet connected from downtown. Popovic responded in style to make it 69-71. Zalgirio Arena was rocking throughout the TV timeout with less than five minutes left as the fans braced for an exciting finish. Salenga’s triple for the lead missed and Langford fed Hendrix at the other end to put Maccabi up by two possessions. Hendrix made the difference at both ends with a brilliant block of Rakovic and a running layup at the other to make it 70-75. Rakovic scored again to bring his team within 74-77 with 90 seconds to play. Collins fouled Langford shooting a three on the next possession and the Maccabi guard made two of them. Hendrix took over again with a block of Jankunas, the ensuing rebound and then drawing Jankunas’s fifth foul. 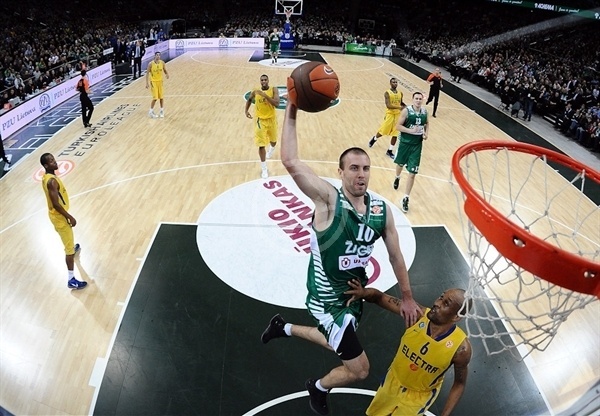 Popovic kept Zalgiris alive with a layup-plus-foul with 37.5 seconds to go, but he missed the resulting free throw. Instead Mallet made 1 free throw at the other end to put Maccabi up 5 and Weems missed a three-pointer, the game was all but in Maccabi’s hands. "Congratulations to Maccabi. Before saying anything, I want to thank the fans who supported us for all 40 minutes. We have a lot of talent in this team, but you cannot win with just talent. We played poor defense in the first half and that just increased the confidence of our rival, and we just kept missing. The second half was much better and we started to defend. There were moments when the game was nearly on our side, but we did not take the best shots and Maccabi punished us. Some of our bench players did not play the way we wanted. I do not know whether for fear or lack of experience, but all were prepared for the game and we knew that everyone needs to be focused for 40 minutes." 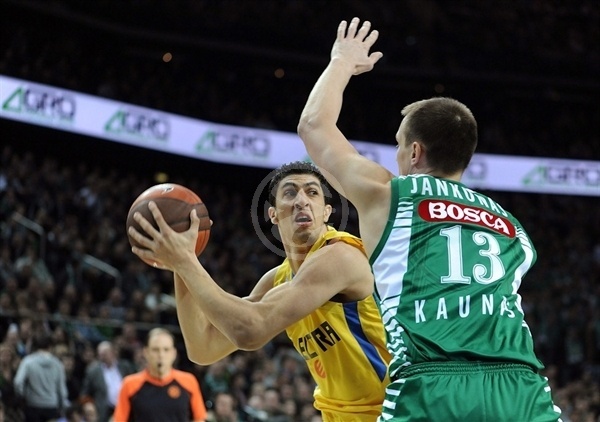 "It was expected that Zalgiris will come back. But we were excellent for three quarters. We came with a lot of desire. This is the first time I have won the first game of any stage with Maccabi! Our inside game and tough defense were keys. There were 15,000 fans here that sounded like 20,000." "This was one of our most important wins this season. Our goal was to start the Top 16 the right way. We knew that it would be tough here in front of 15,000 Zalgiris fans, so we came out motivated. It was clear that at some point they would wake up and make a run because Zalgiris is a great offensive team and the crowd gives it support. That’s what happened in the third quarter, but we showed character, we stood up to the pressure and stopped them. It’s a great honor for me to have reached 1,000 career points in the Euroleague, but the real fun is to be surrounded by quality players and a wonderful coaching staff. "